.My name is Marco Banchelli... .
... I was born near Florence (Italy) in Sesto Fiorentino, on a cold April day in 1956.
the cold has then continued to cross and mark my "way". I ended my first "TOUR AROUND THE WORLD". and to its mountains: the HIMALAYAS. 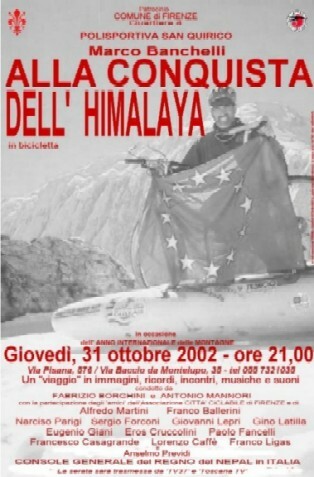 I am the only Italian man who has been designated "Honorary Member" of SPORTS DEVELOPMENT NEPAL. 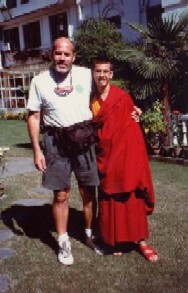 MESSENGER of PEACE in the WORLD. I had the great joy in receiving the greeting and the approval even from the President of Italy. In May 1997 Sesto Fiorentino nominated me "Honorary Consul for Sport"
and in July 1998, in Rome, I received the flag of the European Union, becoming a very particular 'porter'. For me the 'bike' has not meant just a bike. 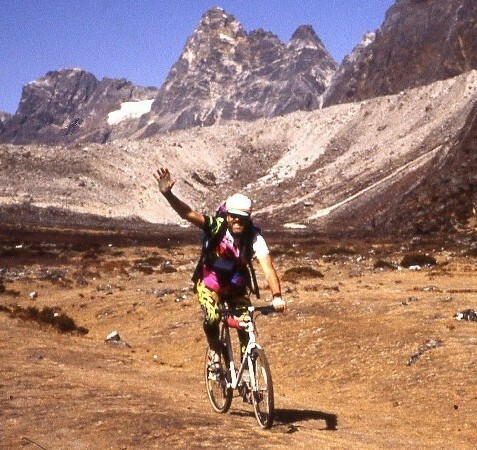 I am the 'first man' who has cycling on the waters of the Himalayas. again in Himalaya, christening it CHILDREN LAKE (in nepali SANU POKHARI). I was hit by a new title: Ambassador of Florence, city of Peace. In my capacity as a "guide" the new frontier of travel: aware, prepared and responsible. as well as on the pages of my diaries, to accompany every moment of my life. An extraordinary adventure of every day. is simply one... KATHMANDU GUEST HOUSE!!! 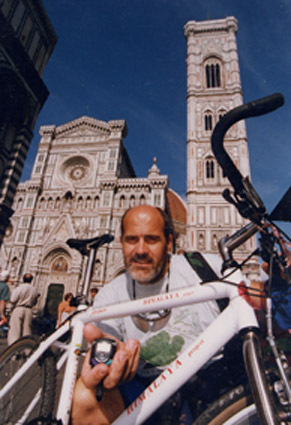 "The Nation" ( 16th february 1998) for "Weekend Travels & Mirages"
Marco Banchelli, fiorentino, has turned practically all the continents in bicycle. 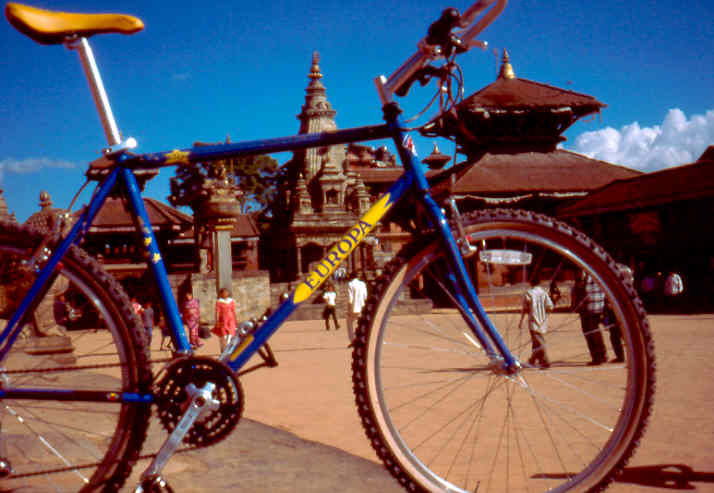 Its preferred country is the Nepal for which it has been made testimonial in favor of a prepared tourism. It has written telling its memories to us of travel. 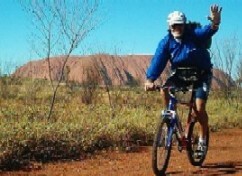 In recent years, with my bicycle, I have had way to cover roads, tracks and paths of all the "cycling continents". Everywhere creed of successful being, from good traveller, to discover interest and increase reasons. But my heart is legacy in particular way to the small Kingdom of Nepal and to its mountains: the Himalayas. 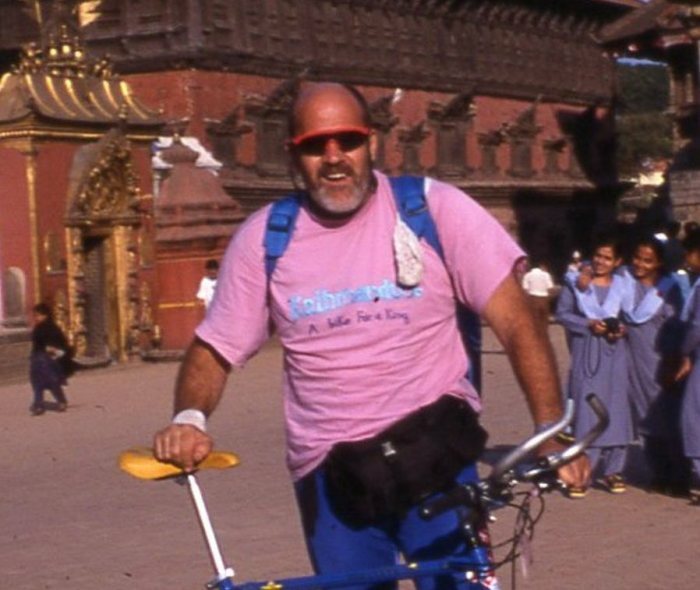 A "exchanged again love": today I am in fact the only Italian honorary member of Sports Development Nepal and, from the first day of the year, testimonial for an aware and prepared tourism of Visit Nepal ' 98. To introduce you into an experience of travel in this country would have therefore to be for me an arduous not sure enterprise... But it is not therefore. In little kilometers in fact Nepal is in a position to offering the most various opportunities: crossing jungla to back of elephant to approaching the highest mountain of the world, the Everest. And then the cities, the templi, the rituals and the fascination of people kind and always disposed to the hospitality and the smile. First of all a council: tried not to bind together Nepal with India or Tibet, above all if you have few days to disposition. Sure, many are the aspects that they have in common, but many are also the innumerevoli diversities and the opportunities that the Country can offer, also alone. And the time that we will have to disposition will be determining for the definition of the program. For a discreet visit of a part of approximately two thousand templi and tempietti that it goes it them of Kathmandu it only offers would be necessary at least one week. Not tried to see "all" if you have only two or three days, risked to make a great confusion and, above all, not to succeed really to enter in the world that is opening the doors. Sure not to lose Bhaktapur and the stupa buddhist of Swayambunath, the rituals of Shiva, in its aspect of the God shepherdesses of the crudes oil of Pashupatinath. Also the love blood that in the days of tuesday and saturday slides to Dakshinakali could be a truly unusual experience. Remembered but, and in particular for the rituals or the ceremonies or someone of the many festivities in which you could be found, not to have haste. Dont't remember the clock and tried to understand and, for what it will be possible, to participate to that event of which you are witnesses. 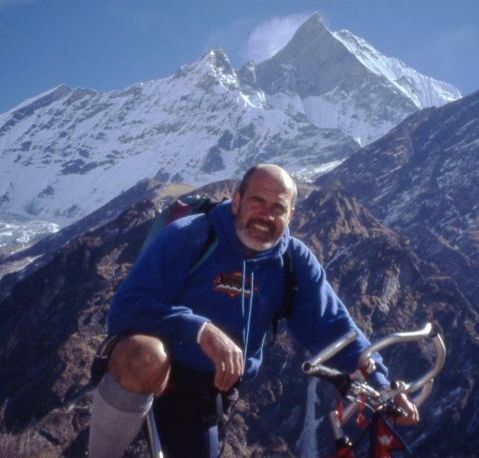 The Nepal is the native land of "trekking", the earth in which every guide mountain climber or hiker it dreams a day of being able itself to try. And the goals for a trekking are truly many, for many tastes and the various degrees of training. From excursions of a day or two to distances of weeks until the fields base of highest mountains of the world. And if the citizen of Namche Bazar, to beyond 3.000 meters, is a species of "understood them of the Himalayas", easiest not to catch up, sure not to lose it is Pokhara, understood them of green and nature. To the west of Kathmandu, connected from one of the main roads, Pokhara is like one door from which showing oneself on one of the most spectacular scenes than mountains: the Annapurna, the majestic and reassuring pyramid of Machhapuchhre. Pokhara, beyond that point of departure of trekking, is also ideal peace and place relax, even on the rivers of the Pewa Lake or on erta the hill of Sharangot, where every dawn is a hymn to the life. To approximately 200 Km. of distance from Pokhara, towards south, in proximity of the indian border , Lumbini. If in you perceived a "mystical vein" you cannot very well avoid the long one and damageed badly that door in this locality. But if, beyond to the strong emotions that arrive to you from the outside, you have desire to approach also something that is in you, here then you go to us. Lumbini could is you of aid. In this disperse and insignificant citizen of border in fact, six centuries before Christ, borned one of the large ones of history of the man: Siddartha. Whose message, to the par of little others, it is one of that do not have time, indeed, than the time they could just defeat it. We are in the region of Terai, not much far from the more important park of the plain: Chitwan. the tigers survivors to incredible slaughters. But from the remoter zones to "more amazing" of the spuntini in one of typical tea-shop or the small restaurants scattered in all the Country, in every Nepal day can be truly one small adventure. And every travel can "be sewn" of all the experiences, nearly was a dress on measure. But attention! Like for a dress, verified the season! In fact, even if lately the climatology and a little strange, as it seems is everywhere in the world, the Nepal endures the infuence of the summery monsoon. Every experience therefore must have its season. For the trekking sure better to choose the spring or the autumn; for tourism or trekking not to much hight, fantastic the winter; but if you do not have other possibility, it can also very well be thought next to the summer, with the monsoon. But a travel in Nepal, you believe to me, deserves. 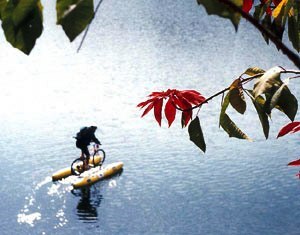 A travel in Nepal could not never be a travel, in spring or in summer, autumn or winter, the Nepal is above all emotion. An emotion that, as for me, could very well continue in you for the rest of your life.